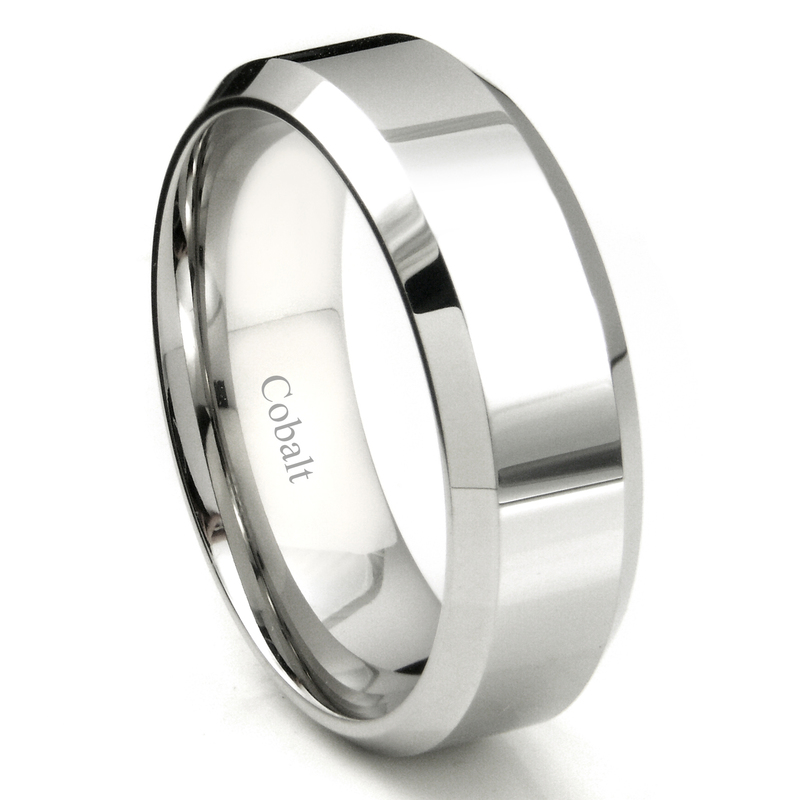 A solid 8MM cobalt chrome wedding ring featuring flat center part and beveled edges. The entire ring is finished in high polish finish. 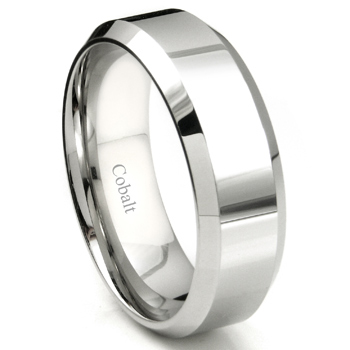 The main benefits of cobalt chrome rings include permanent white color and superior hardest. Unlike white gold, silver and platinum rings, which will turn color and bend out of round, this ring will never change color because there is no plating on the ring and it will always stays perfect round. This is also the perfect ring to have a custom outside engraving. I purchased this ring as a wedding band for my Fiance. The ring came quickly and looked great. We sent it back for the engraving and the entire process was really fast and we really got a great product. I would definitely use them again! !